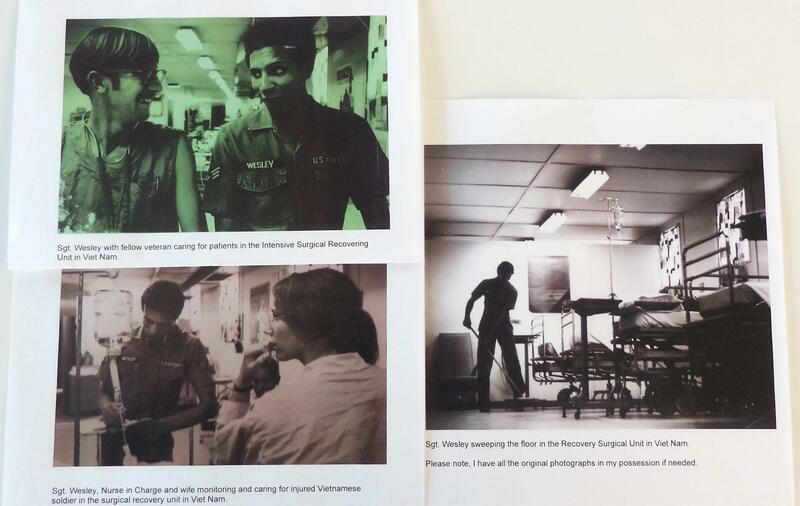 The Nine Network is collecting stories from the community about the Vietnam War. Stories, memories and photographs submitted to the Story Collection Project appear on this page and are searchable, making it easy for family, friends and community members to share memories and learn about this time in our history from a variety of individual perspectives. 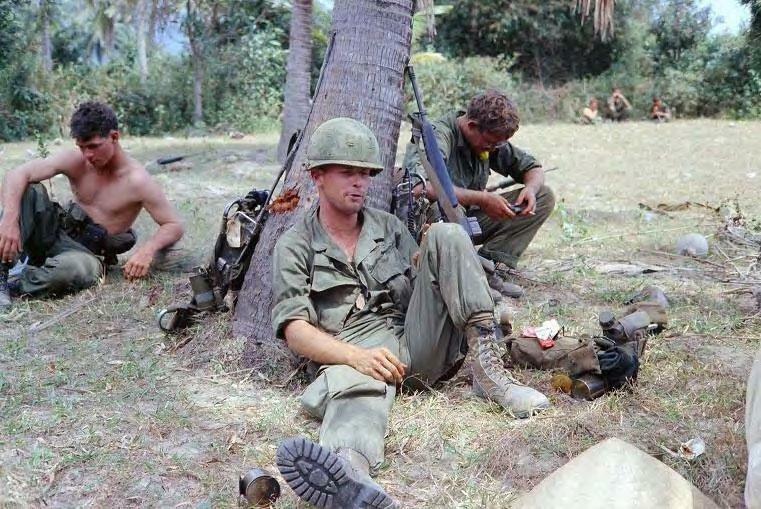 Explore, read and learn more about the Vietnam War era below. Story | John H. Harden, Jr.
"Long before the birth of written language, storytelling was the way of passing on enduring wisdom, the traditional way of teaching..."
"A couple months before leaving Vietnam I was driving a jeep on Highway 1 heading back to Nha Trang when I was pulled over by MPs. Apparently a helicopter had tracked me..."
"One of the worst parts was, every day they would tell us how many Viet Cong died the day before and how many Americans died. That hurt a lot. Also, when a man was drafted..."
"Sr. Joann Malone and 8 other people broke into Dow Chemical headquarters in Washington D.C. on Saturday March 22, 1969. They came to be known as the DC-9. On Monday March 26..."
"I grew up in Jennings, MO. I attended Corpus Christi grade school, CBC High School and St. Louis University. 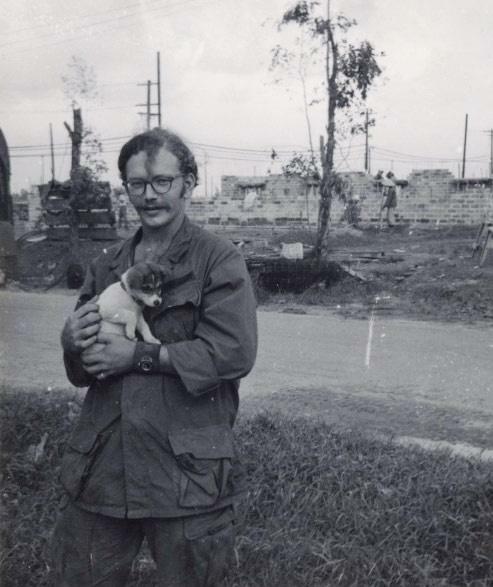 In 1967 I graduated from the university with a Bachelor of Science..."
"Throughout the 1990s and up until I retired as a high school English teacher in 2015 I taught a unit about the Vietnam War. It started with teaching Walter Dean Myers novel..."
"There are two kinds of heroes. First are those that died over there—we gave them all the qualities we desired and they deserved; and we forgave them every mistake..."
"On the other side of the wall, Hidden in dreams of glory. 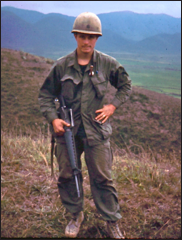 A sad national loss, A touching, poignant story...."
"I was in Viet Nam the entire year of 1966. That summer, a few miles south of Da Nang, an ARVAN, (South Viet Nam Soldier), was walking next to one of our tanks when an..."
"The drops of tears flowed gently from her eyesas she watched the plane soar into the skiesher love had been called away from his home..."
"Vietnam is a "college" degree 10 times over, I say this having completed a BBA and Master Degree after my Army service. I served with the Big Red One infantry..."
"I grew up in the 50’s and 60’s. I graduated from Sparta High School in 1967. 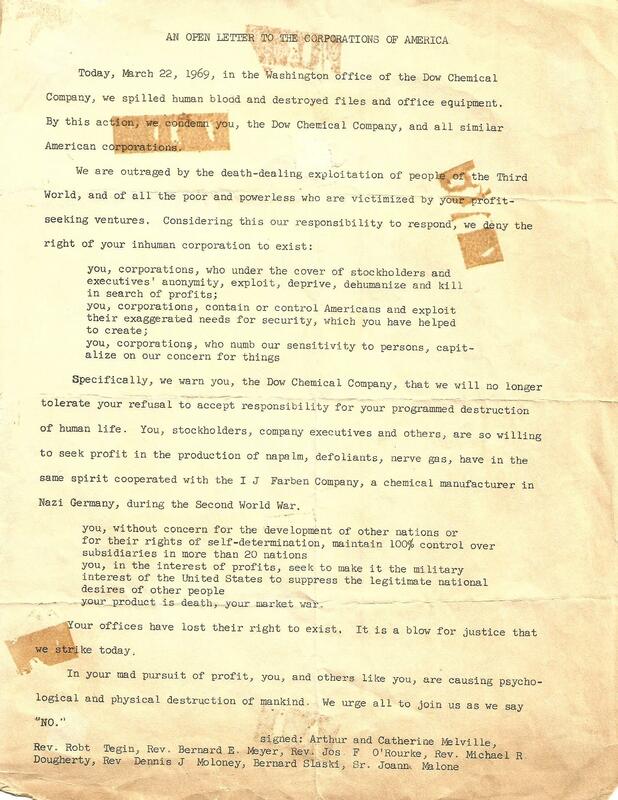 The war in Vietnam had been going on and the draft was in effect. 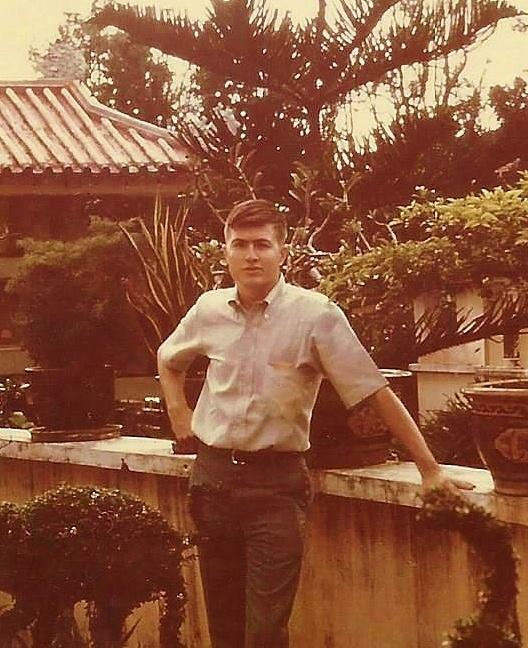 When young men turned 18..."
"It was my honor to serve my Country in the Vietnam/South East Asia(SEA) Theater on several separate occasions during my twenty plus year U.S. Navy career. 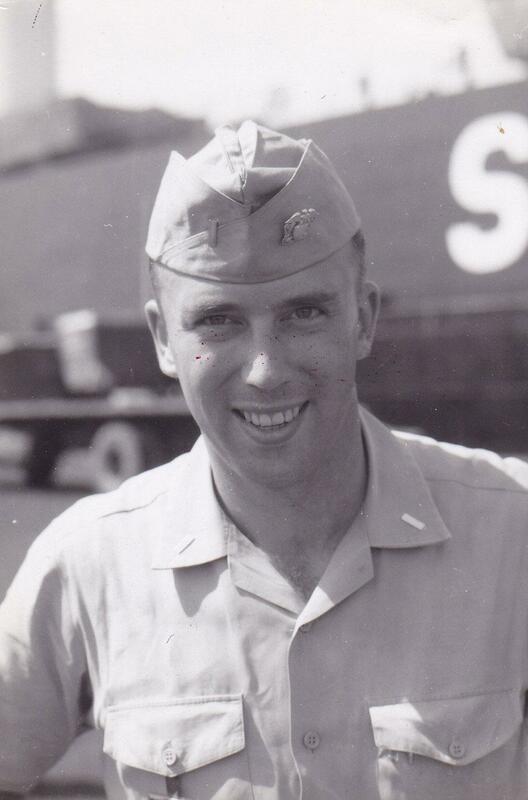 My theater..."
"Joe was 21 when he was drafted and sent to Vietnam in July of 1966. He was there 11 days and was in a decoy unit that was ambushed. 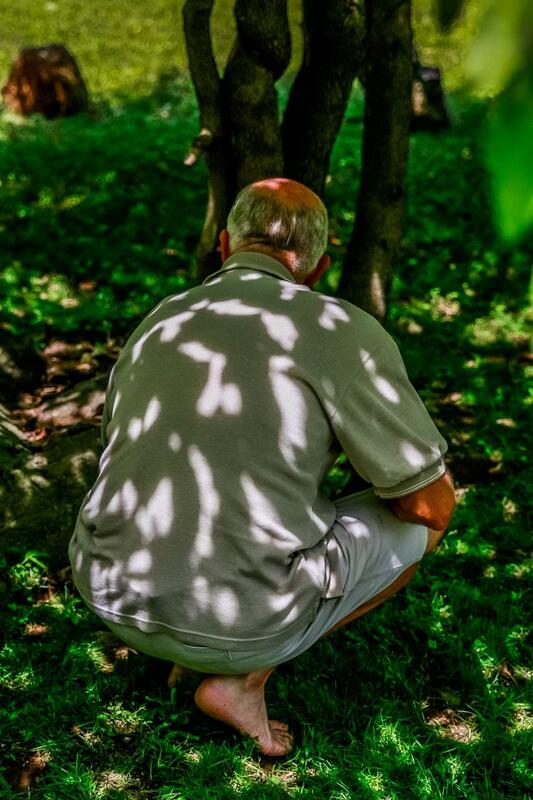 He was burned on 25% of his body..."
"My husband and I were conflicted about the Vietnam War. 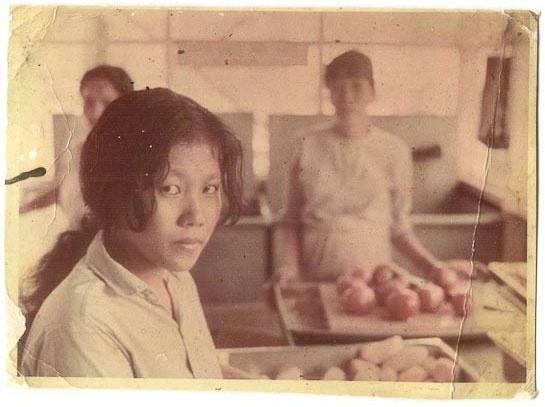 Was the USA just upholding the old French colonial rubber plantation system or was the domino theory a real threat..."
"I was stationed at PhanRang AB, Vietnam from 1970 to 1971. When I was in 'nam I was a weapons mechanic. 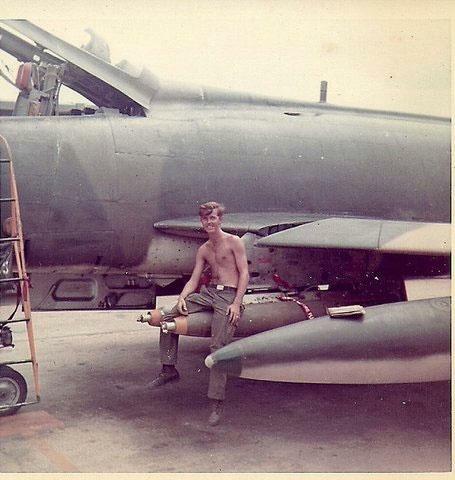 My responsibility was to load munitions on the f-100 super Sabre..."
"I was raised in the quintessential Midwest family in the quintessential Midwest town, St. James, Missouri. Located on Route 66 in south central Missouri in the foothills of..."
"I have two vivid and profound memories of the the first televised war. One is reading the Saint Louis American newspaper. 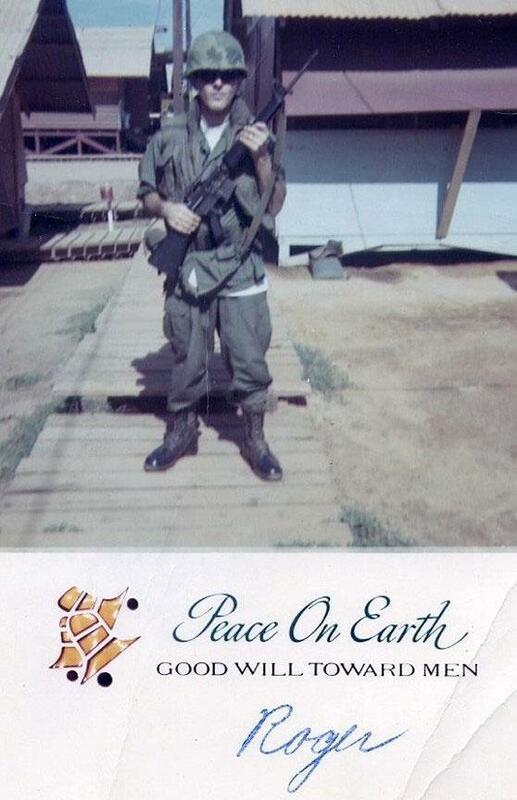 On the back was picture after picture..."
"As a member of the United States Air Force, I was stationed at PhanRang Air Force Base in Vietnam from September, 1967 to September, 1968. My job was refueling aircraft..."
"In the assault helicopter company I was assigned to, we were prepared to meet the unexpected. 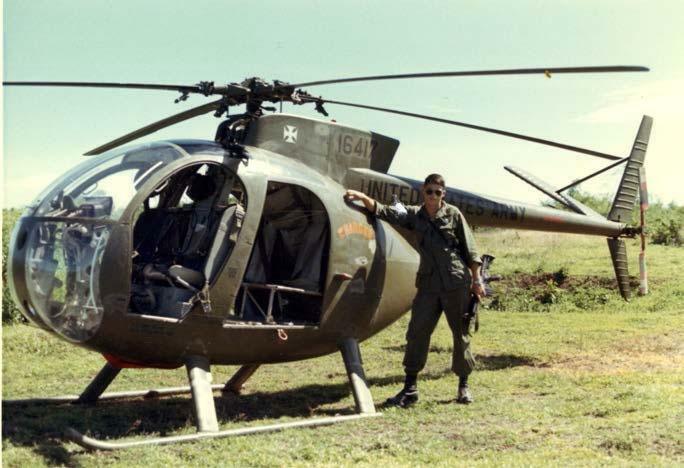 One day the commanders Huey appeared with a strange device attached to the nose..."
"I was in the Nam from Nov 68 to Dec 69 in the I Corps area with the 39th Combat Engineers. 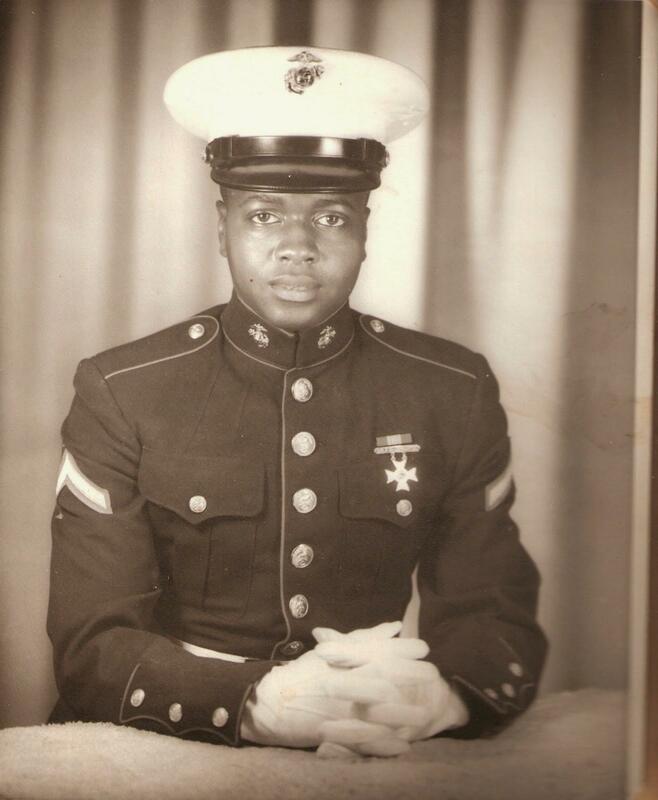 When I returned home early in Dec 69, a friend of mine who was attached to the..."
"My father was a career soldier. He fudged on his age a little in order to join the army and go off to WWII. Later on he joined the air force and fought in the Korean War..."
"I was drafted because I won the lottery in 1970. I reported for active duty on 14 April at Ft. Leonardwood, Mo. 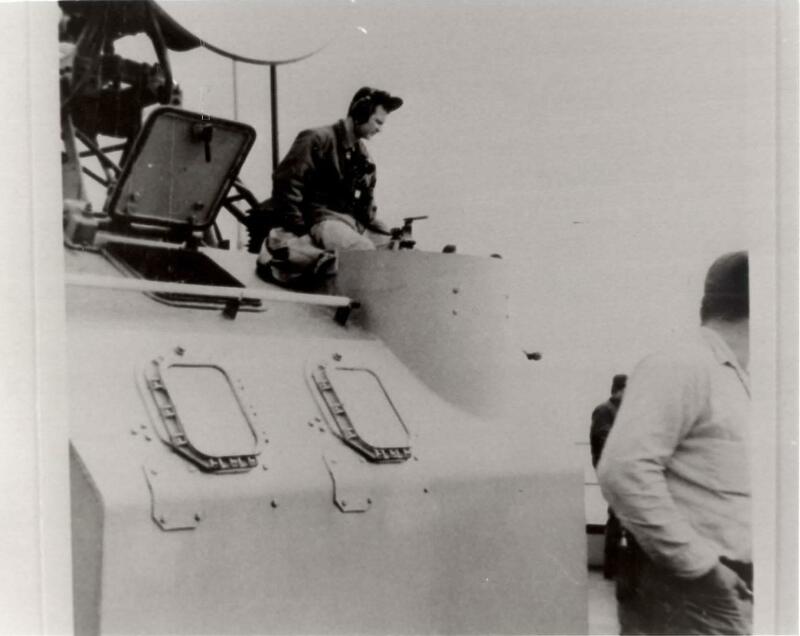 All through basic we were told we were likely going to Nam...."
"Participated in Operation End Sweep aboard the USS Vancouver marking the first time in U.S. Naval history that mine countermeasures techniques where helicopters were employed..."
"In an effort to literally smell the bad guys, the military had a “sniffer” machine developed and built. The airborne version of the machine was flown at treetop level..."
"I was in the 25th Infantry Division in Vietnam in 1970. We were west of Saigon in the Iron Triangle. 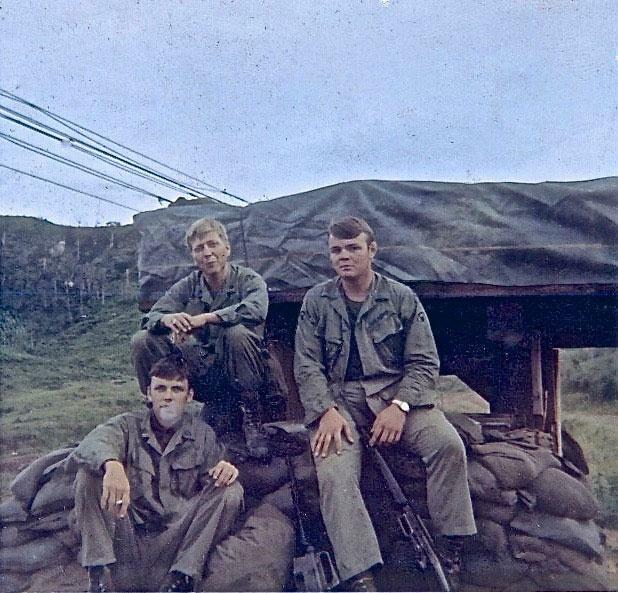 Before dark, three of us went out from our company's night perimeter to..."
"During the early morning hours of January 30, 1968 all hell broke loose across South Vietnam. The North Vietnamese Army and the Viet Cong launched their massive New Year TET..."
"O handsome in their campaign hatsFrom Somme to River RhineDoughboys in collared tunics brownMarching to “Auld Lang Syne”.America! America!..." "I received my draft notice in 1968. I talked to a Air Force recruiter and was told I could enlist. So in March of '68 I went into the..."
"My name is Clayvon Ambrose Wesley. I was born in Newark, New Jersey. In September of 1966, I enlisted in the United States Air Force and received basic training at Lackland..."
"All veterans have a close relation named Uncle Sam; we work for him and what he represents. A Vietnam vet friend of mine also has an admired uncle, a real Uncle Sam." "It was Christmas in a Country not familiar with the magical time. 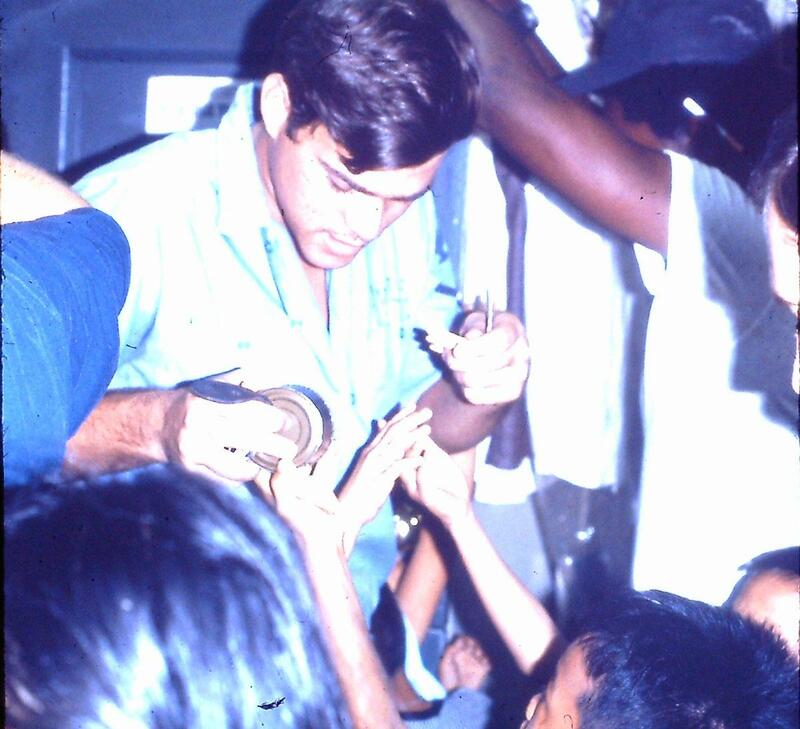 My unit supported an orphanage with more than 500 kids..."
"One of my most distinct memories having to do with the Vietnam era is listening to the radio the night they drew numbers for the 1970 draft lottery...."
"In 1902 Joseph Conrad wrote "Youth". I identify with the protagonist, Marlow, who was British, 20 years old and bound for Bangkok. 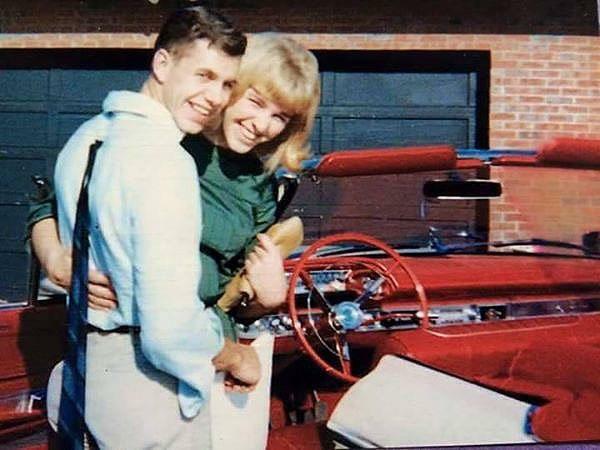 In 1967 I was American, 22 years of age..."
"Somehow, after graduating from St. Louis University and prior to starting grad school there, I got the idea that since I was moving from my parent’s house in North St. Louis..."
"My husband was KIA in Vietnam on May 10, 1968. I was living with my parents at the time in southern Illinois. I was 22 years old and 7 months pregnant when he was killed..."
"My Dad was in the Army and worked at Curtis Wright during World War II. I grew up in South St Louis and my Dad died when I was 16! This changed my life big time..."
"Don Ohmes is a local boy from St. Peters. His family owned several hundred acres which they farmed before St. Peters started to build up. 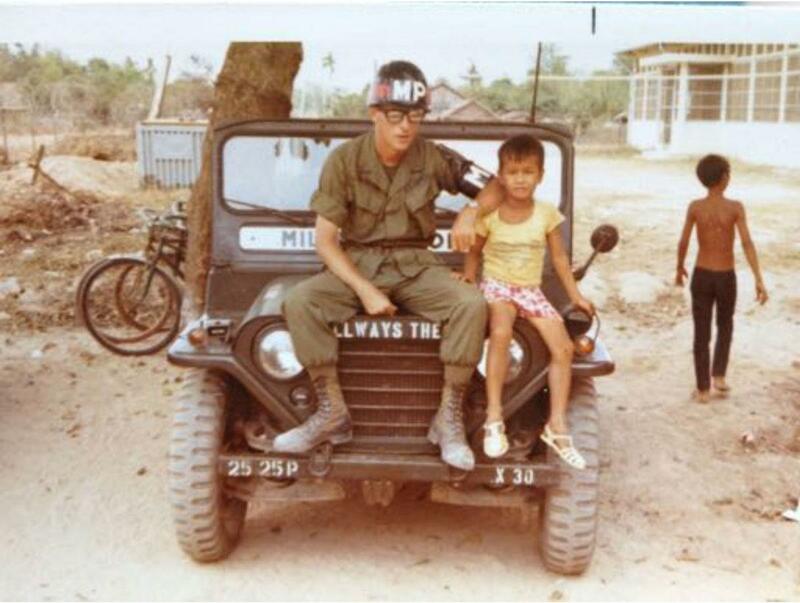 There is a sizeable road in..."
"My memory selects taxicabs as a symbol of the Vietnam war. It's taxis that taught me just how bad this was going to be." 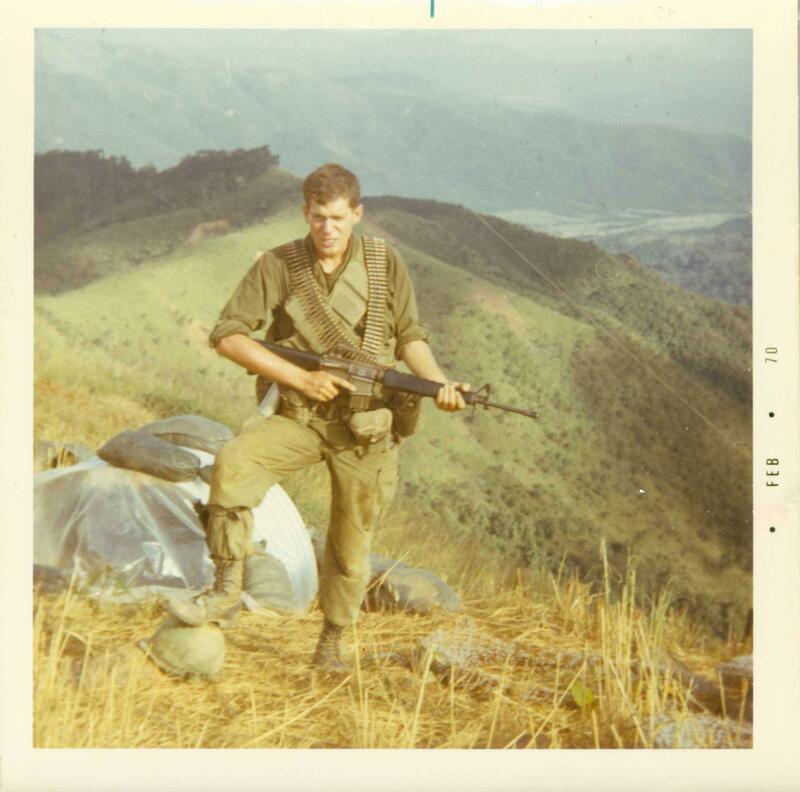 "In December, 1967, I was working at CAC Hotel 6, a Marine Combined Action Company that included about 15 Marines and about 15 PF South Vietnamese militia..."
"My Story of Vietnam I am Gene Hutchins. A native of St. Louis, I joined the Army two weeks after my high school graduation. 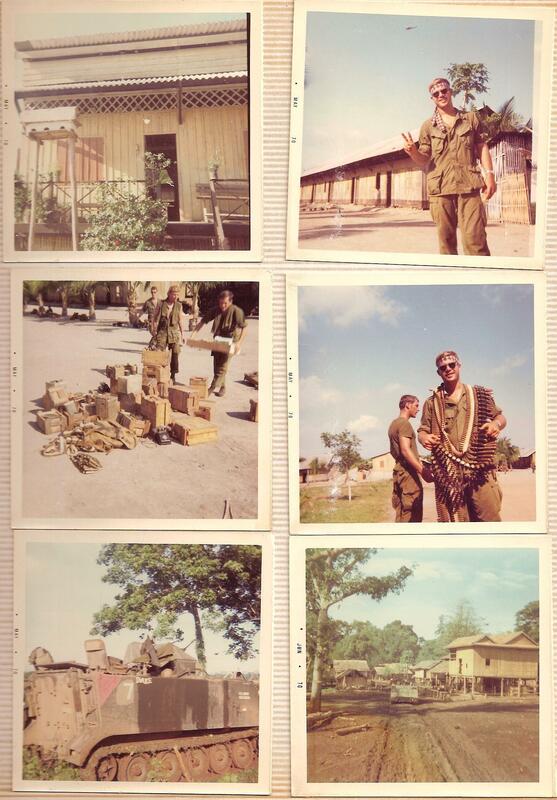 I was deployed to Vietnam on 8 December 1968..."
"Dad was a career Army graduate of West Point Class of 1956. 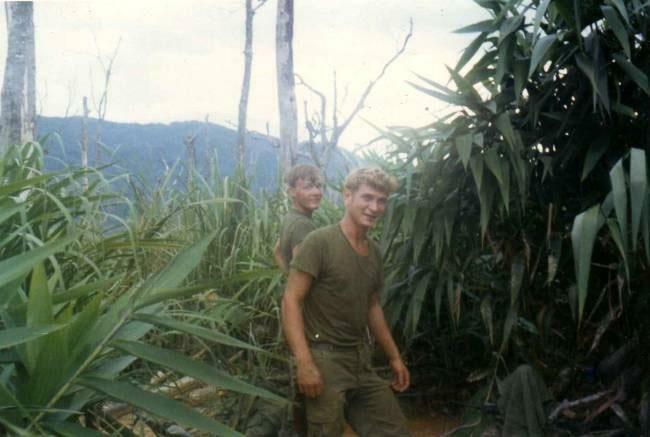 He had been to Vietnam in 1966, but had to return in 1968. I remember Mom dying all of his white items army green..."
In July 1969 I was a 23-year-old Infantry Army officer (ROTC @ Westminster College, Fulton, Mo) sent to Vietnam. 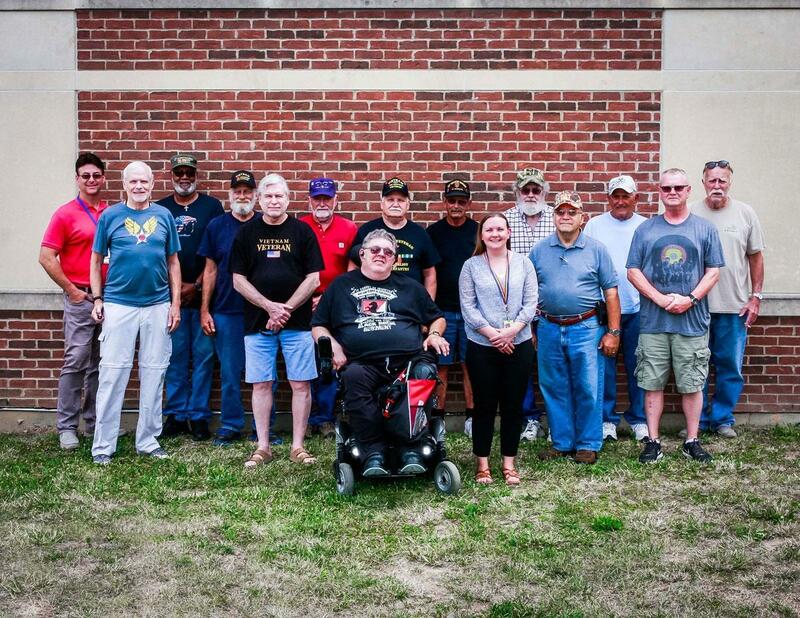 I was assigned to the 5th Bn., 46th Inf., 198th..."
"During the 1971 South Vietnam Presidential election campaign I was stationed in the headquarters unit of the 29th General Support Group at Long Bing Post, located roughly..."
"It was 1972. I was nursing in Kentucky and was seeing the war in Vietnam on the evening news...every night.I knew I wanted to do something. 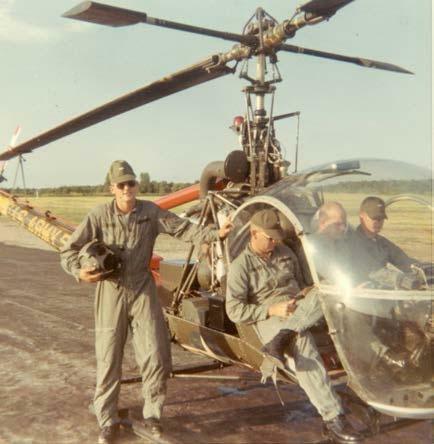 I wrote to several volunteer..."
"My most memorable times during two tours in the Vietnam War invariably involve helicopters. I grew up just 23 miles from downtown St. Louis and just a stone's throw from..."
"I was a twelve year old grade school kid who was aware of the current events and one of my interests was the activity over in Vietnam. I would watch the news and pay attention..."
"It was an extraordinary spring day in St. Louis, Monday May 22, 2017. The sun was shining, 75 degrees and the sky was deep blue without a hint of a cloud. I had a thought that..."
"Having graduated from college in 1968 as a 2nd Lt. in the Army, through ROTC, a tour of duty in Vietnam was almost inevitable for me. Though I did serve in Vietnam with the..."
"It was during my second tour of duty in the Vietnam War, when America's deputy ambassador to South Vietnam popped into my room and asked me if I wanted to watch the television..."
I try not to look at the lifeless bodies Green camo..."
"My war was as different and alike as any other soldier who served during the Cold War, and in the Hot War, Vietnam. It matters quite a bit whether a soldier was a rifleman..."
"My story is common among many veterans that have served in a war zone. 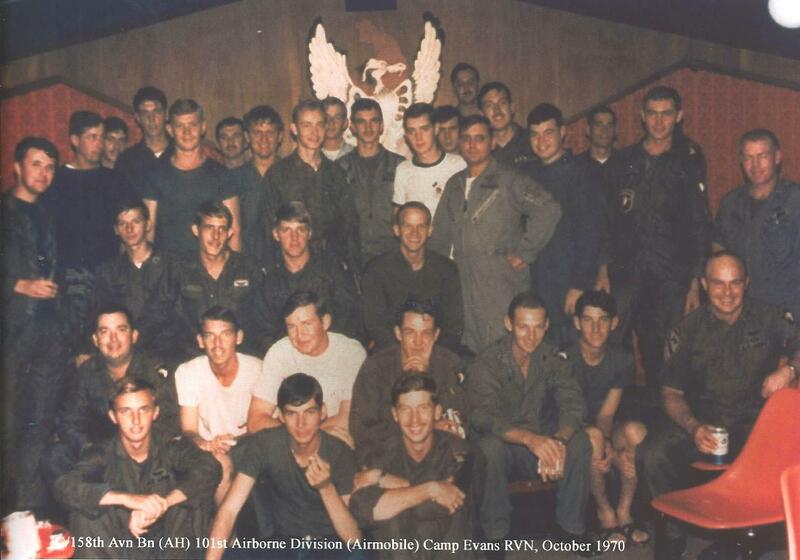 He or she will tell you that they arrived in the war zone as one person but left that war zone..."
"On May 5, 1969, I arrived in Vietnam (Cam Ranh Bay) with other members of my flight class. World Airways, the government contractor hired to fly GI’s to and from Vietnam..."
"It was 1969 and my brother was a good candidate for Vietnam. I was 16 at the time and worked for a dentist who had issues with controlling his libido. He became..."
"During my Vietnam duty as Marine Avionics Technician stationed at Da Nang Airbase, January through November 1970, I was approached by Marine Cpl. 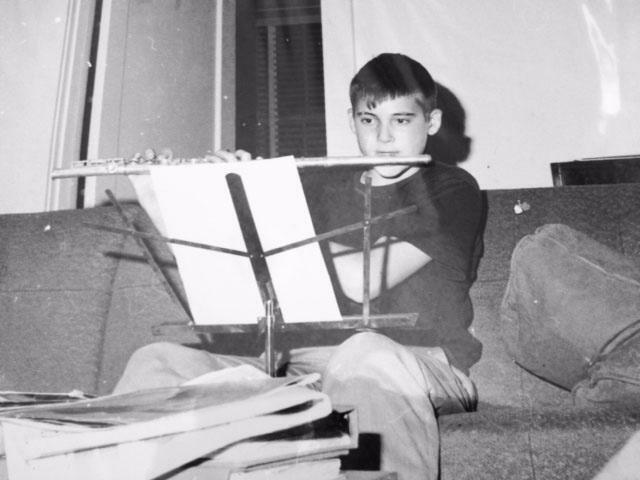 Tom Gorman from Boston, MA..."
My War as a Clarinetist | John Samuel Tieman, Ph. D.
"02J20, CLARINET was my Military Occupational Specialty. 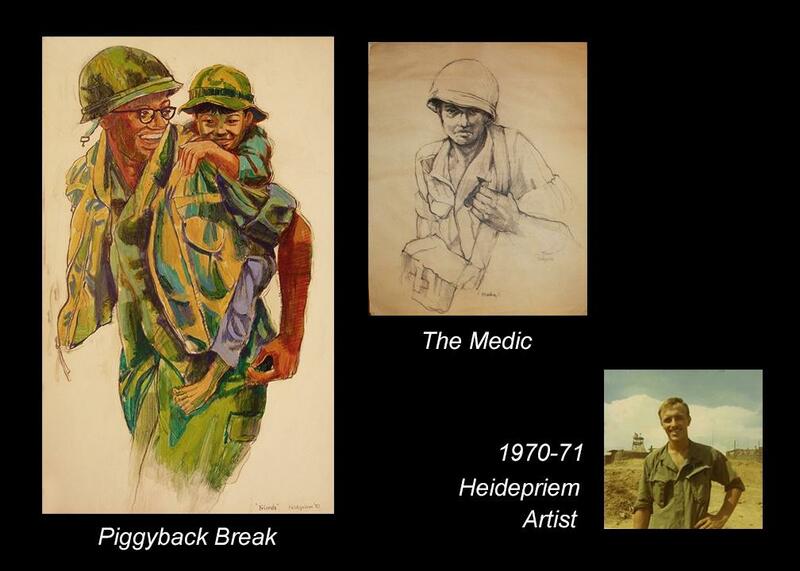 As an artist, I served my country. Beyond that, I did nothing either heroic or noteworthy. In truth, I’m a far better..."
"I was in the Army during the Vietnam War. What did I do when the war was on? I gave intelligence tests to Eskimos. From February 1972 to August 1973 I ran the testing..."
"THE NEWS was in this paper on Friday - Gerald Abbenhaus Jr. will have his name placed on the Vietnam Veterans Memorial Wall in Washington, D.C..."
"I remember loading body bags onto my air plane and learning latter that our involvement in this conflict was based on a lie and these young men..."
"My husband Melvin Clay DeWitt was drafted into the US Army in August 1966. 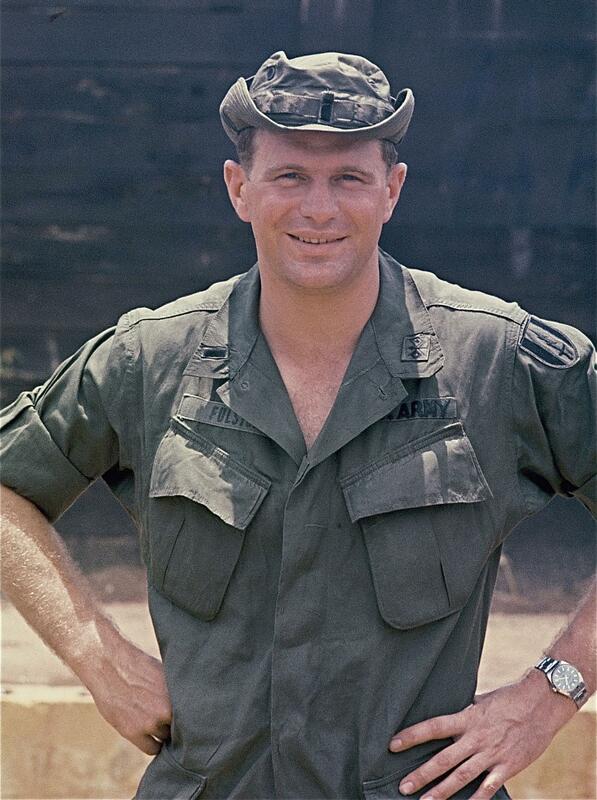 He served his first tour of duty in Vietnam an an infantryman with Company A, 2nd Battalion, 8th..."
"I met my true love eight days after my return home from active duty in Vietnam and discharge from the army. This encounter blossomed quickly jnto romance—a romance that nearly..."
"President Monroe gave land grants to farmers in Greene and Calhoun Counties in Illinois. The Tunison family of White Hall , Illinois received a land grant..."
"Almost forty years ago, I served as an Infantry soldier withthe US Army in Vietnam in the Tet year of 1968. In September2007, I went back as a tourist..."
"My brother-in-law was in Vietnam. 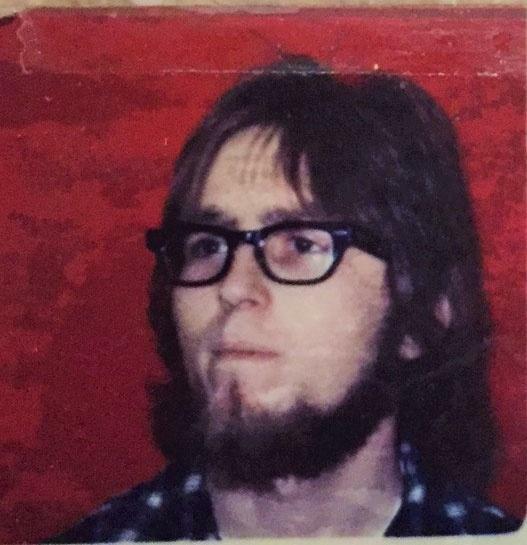 It was 1972 and he was 27. My husband, 5 years older, along with just about everyone our age in our slice of America, had avoided fighting..."
"Donut Dolly" is a nick name left over from years past. 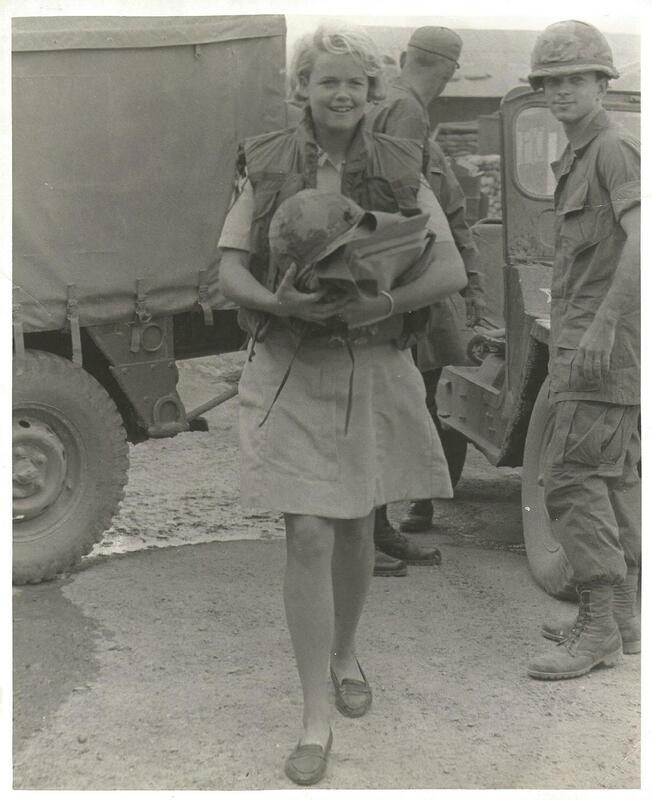 As young women we each had our own reasons for signing on for a tour in a war zone. How naïve was I!..." 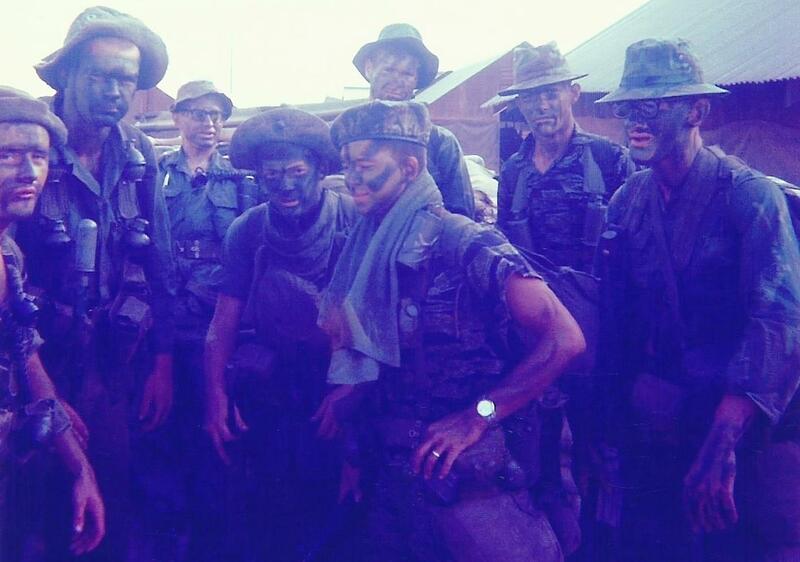 "In 1970, when I began teaching at San Jose State, I was surprised to learn that professors in the California state system were required to take a loyalty oath and swear..."
"I was a United States Army Special Forces (Green Beret) adviser to the Cambodian Army in Dong Ba Thin Vietnam. I also served in the Missouri Air National Guard during Desert..."
"Among other things, war brought to me the intensest of emotions. I left her one overcast and late September day in 1968 as I mounted the blue flight crew bus taking my bomb..."
"I occasionally pick up an apple and it makes me remember a day more than 40 years ago when I saw – for the first and only time -- Graham Martin, the last U.S. ambassador..."
"From Basic Training, we who were going to Rotary Wing Flight School were bused to Ft. Wolters, Texas, which was the Army’s primary helicopter training base. After several..."
"My best friend Dave and I were attending Southern Illinois University ─ SIU, Carbondale ─ in the fall of 1965 and there was a retired Sergeant as Dave’s Resident Advisor..."
"After graduating from John F. Hodge High School in St. James, in May, 1966, I enrolled at the University of Missouri-Rolla. Within three semesters, between the calculus..."
"Sgt. 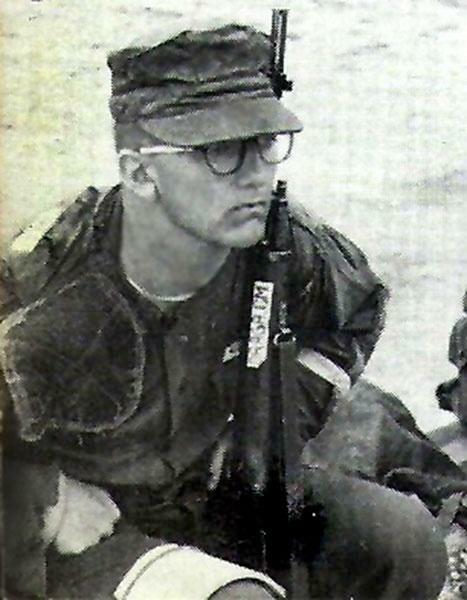 Kenneth C. Frazer, from Chester, Illinois was killed in action in Vietnam in September of 1968. He was a 1967 graduate of McKendree College (now Mckendree University)..."
"In May 1966, 280 men from two infantry companies were mistakenly dropped off into the wrong landing zone in the dangerous Central Highlands’ Ia Drang Valley..."
"I remember the Vietnam War coming into our living room every night on TV news and glad it was black & white in those days, no color. I worked with a lady whose uncle..."
"It was the summer of love (1967) and it was hot in Tampa! I had just turned 14. As with most 14 year old boys, my hormones ruled!! I think I fell in love every other day..."
"we all grew up in the loop off of delmar at all saints parish. my brother mike donovan and my best friend todd deruchia were in the marines in 1969 we all went to vietnam..."
"I served from june 1965 to may 1969 boot camp in San Diego "A" school on treasure island San Francisco received orders to serve on the USS..."
"As I write this, it has been 45 years since my return from Vietnam serving in the U.S. Army. I never bothered to write any of this down in the past, but now that I am retired..."
"In May of 1970 the day after the Ohio State Guard killed unarmed students at Kent StateUniversity for peacefully protesting the Vietnam War students at University City..."
"I am Gene Hutchins. A native of St. Louis, I joined the Army two weeks after my high school graduation. 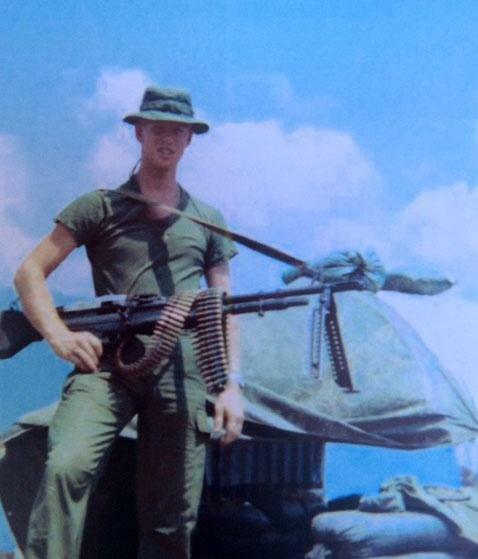 I was deployed to Vietnam on 8 December 1968. I stayed in Vietnam for..."
"I remember beginning to watch the evening news programs when the Vietnam body counts were shown. I was 10 to 12 years old then, from 66 to 68..."
"My older brother entered the military as volunteer. Special Forces would not accept draftees into its ranks. 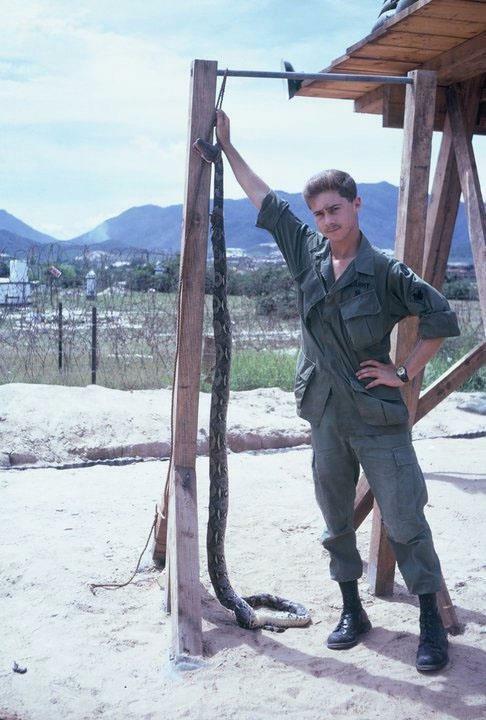 Owen became a medic and was sent to Vietnam with the 5th Special..."
"I was the youngest of four children, born in 1947 and graduated from high school in 1966. 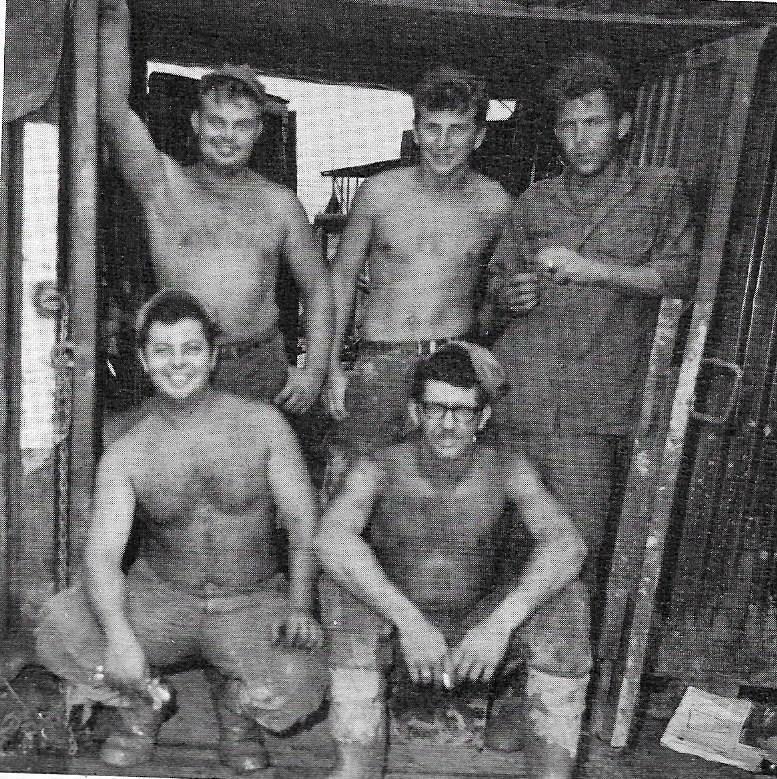 By 1967 both of my brothers and one step brother were in the military. 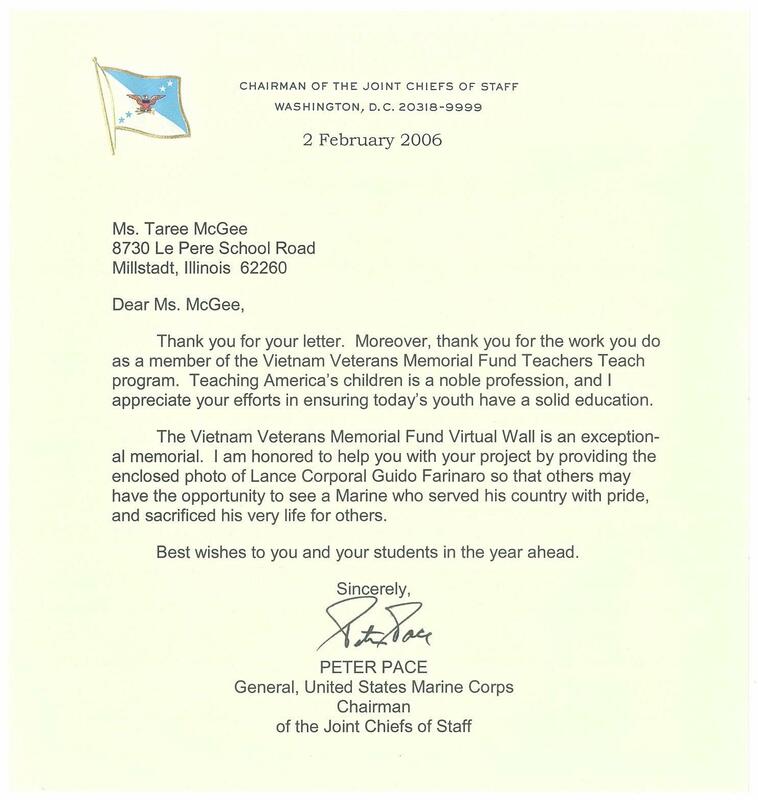 Jim was in the..."
"As I’ve watched the episodes of Ken Burns’ documentary of the Vietnam War, it’s brought back memories I hadn’t thought about… As a child growing up in the sixties, I was..."
"I'm attaching an essay I wrote on April 7, 1970, when stationed at the MACV headquarters, Saigon, Vietnam. I was reflecting primarily on the deep divide we were experiencing..."
"I was 7 years old in 1971; that was the year my brother, Phil, turned 18. 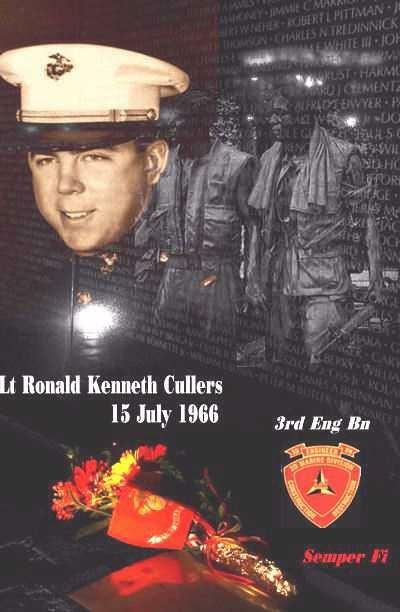 I can remember my mom and dad watching the television when rows of numbers would flash on the screen..."
"My best friend was Ronnie Cullers. 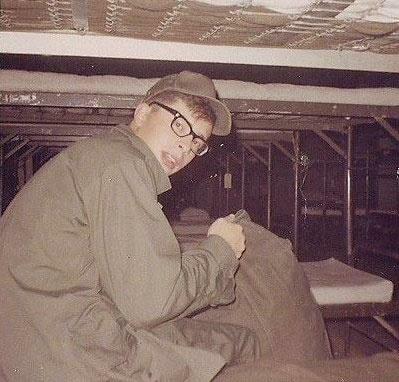 We grew up together from diapers, doing everything in grade school and high school, football, baseball, basketball, scouts... Ron was in my..."
"In march of1969 I volunteered for a tour in Viet Nam. My PCS was in beautiful Colorado Springs, Colorado at Peterson Field (USAF) . The Air Force was seeking English language..."
"I landed in Vietnam on December 7th, 1969; Pearl Harbor Day - how ironic! 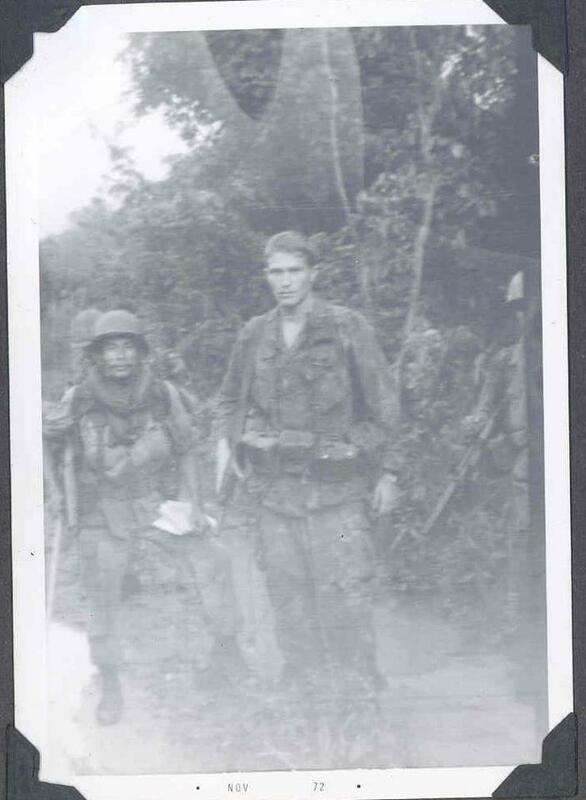 After in-processing and spending a week in the 1st Infantry Division jungle school (teaching us how..."
"As I got my gear together, my mind flashed back to the 9th INF. jungle training camp for the Delta Dogs in Tanin, Mekong Delta. 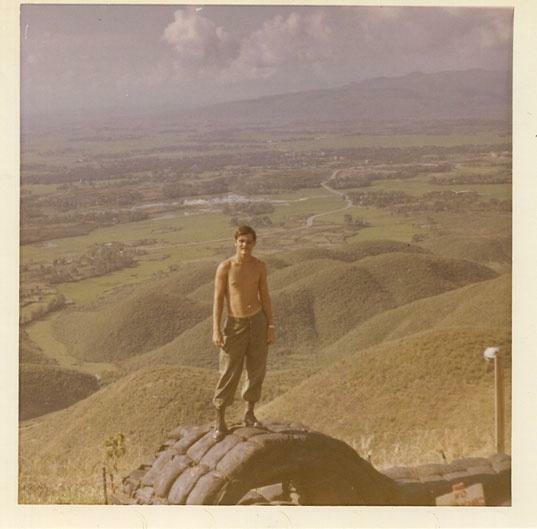 I was assigned to Rachen home base camp..."
"The following poems were written as I experienced the events, during my time as a soldier in the U.S. Army— from basic training at Fort Ord, California through the ..."
"One of my dad’s art students was sent to Vietnam. That was 1965 or 66. Mike was a young, handsome, talented young man. He didn’t come home. In 1969, I went away to college and..."
"This is a follow up to the story I originally submitted before the series started. I watched all 10 episodes and they were totally awesome." "Jean was raised in Kahoka, Missouri with his parents and two brothers. He was an artist and attended Northeast Missouri State University at Kirksville, Missouri." "I was a fighter pilot in Vietnam. 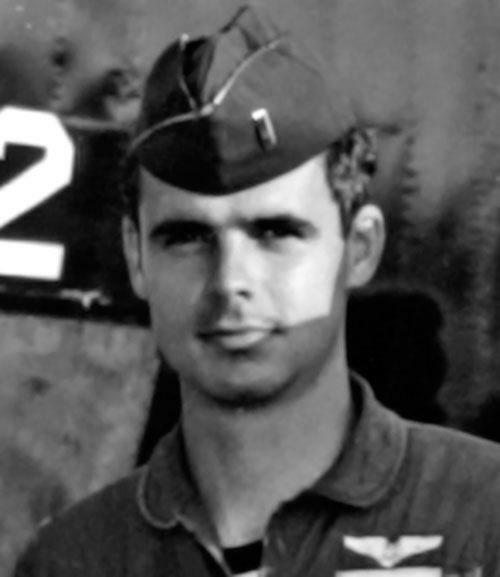 On April 4, 1971 my lead aircraft of a flight of two was shot down..."
"My father, Dale G. Harris, was supposed to live but it would be at the expense of another young life. 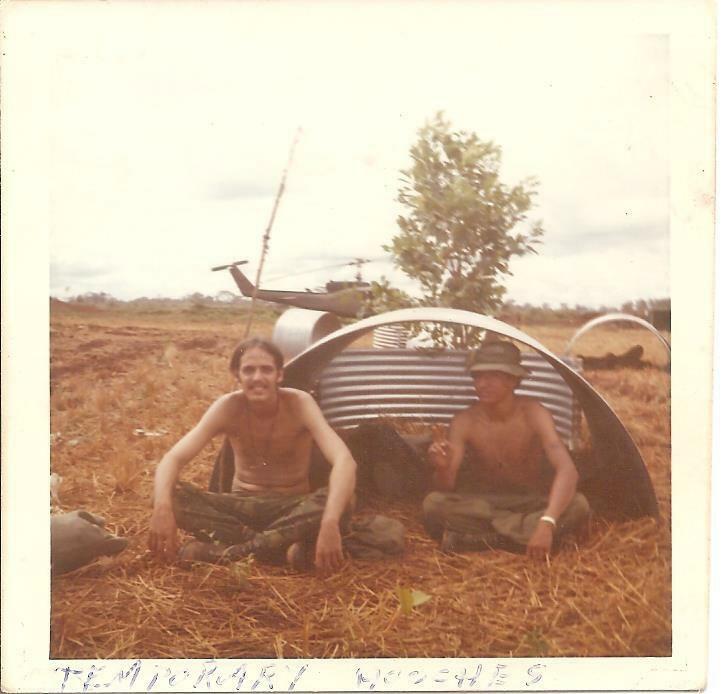 PVT Harris had joined the US Army in March 1966 as a Radio Mechanic..."
"There are lots of things about my time in Vietnam that I would rather forget. I’ve been able to push them way back in the deep recesses of my mind so that I don’t often think..."
I was a senior in college In January 1973. I had draft number 61 and selective service was drafting up to number 180 that year. In Late January President Nixon..."
"I was born in 1948, drafted January 1968, went into Army 4/24/68. Went to Basic, AIT, the on to Ft. Benning for Infantry OCS. Upon graduation was selected to go Rotary Wing..."
"The day before my 14th birthday, President Johnson came on TV to announce that a U.S. ship had been fired upon in the Gulf of Tonkin. The Vietnam War was starting. I cried..."
"As a 91B20 (m.o.s.) medical specialist I got to carry morphine syrettes. 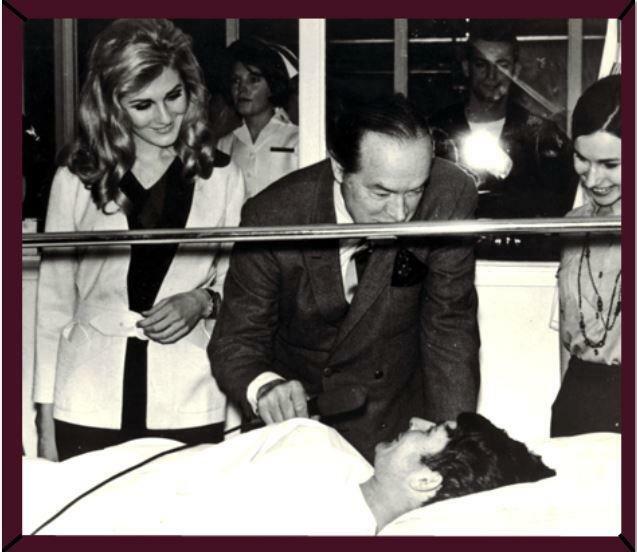 For my 6 1/2 months in the bush, 1971, I never had to use morphine. My causalities were so light..."
"Finding the Pearl: Unstoppable passion, unbridled success is a brightly vivid and motivating portrayal of one woman’s courageous perseverance in the face of poverty, war..."
"I believe it was 1967 or 68. My two brothers and I had just come home from school earlier that day, It was pretty much a normal day, my older brother still wasn't home yet..."
"In 1973, returned Vietnam and Era veterans from seven area Schools, Colleges and Universities created their own self help, "one stop" Veterans Service Center (VSC)..."
"I was born in st. louis, mo in 1944. I lost my father in 1953. I attended catholic schools in st. louis and graduated from college in 1967. 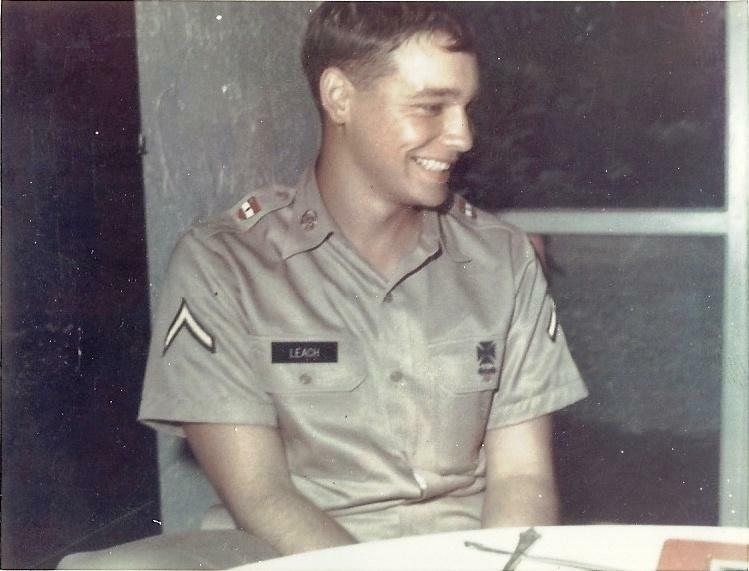 I joined the US Army in June of..."
"Harold was a childhood friend and was born on November 28, 1945. 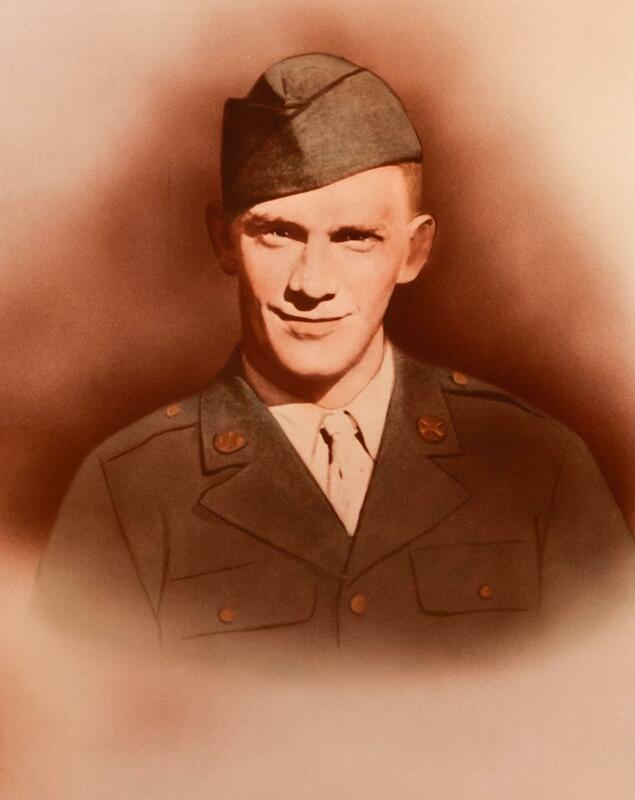 His mother abandoned him early in life, and his father ignored him..."
"My father, Les Spall, was a sergeant major in the Army’s 40 Division during World War II. 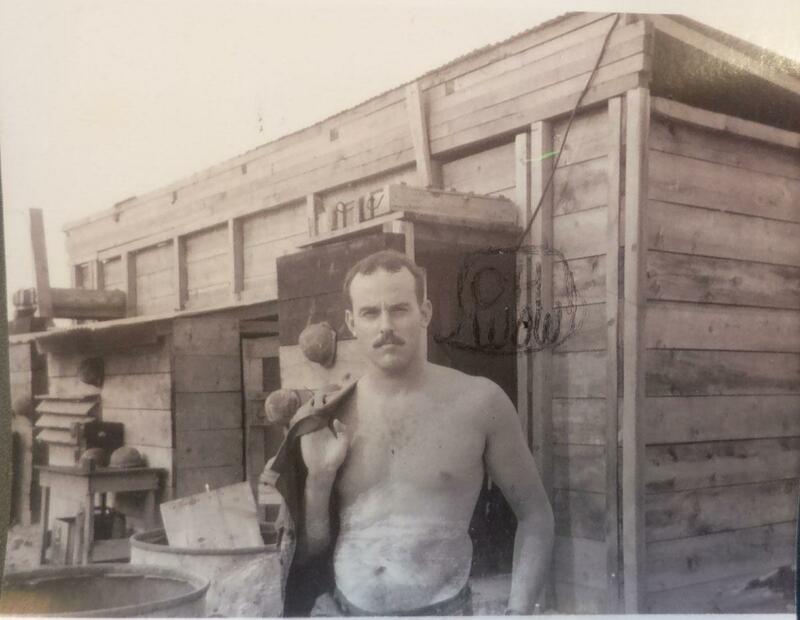 His best friend was another sergeant, Mel Kenniger, from St. Louis..."
"I had just graduated with a Bachelor of Fine Arts from Washington University which ended my student deferment. The government had disallowed W2 deferments for things like..."
"St. Mary's high school class of 1971, what next? I had to make that big decision, continue on with my education, go to work or join the military. 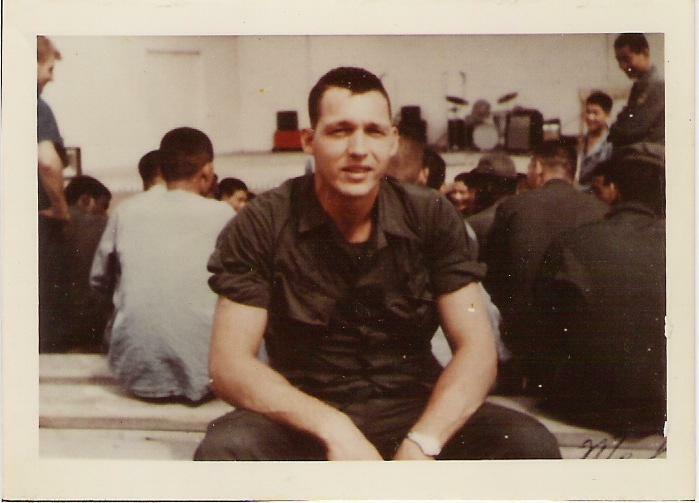 Vietnam was in full swing..."
"I worked in the headquarters company in CamRon Bay. I worked for Colonel Jackson and for General Hill. I made charts and graphs of troop movement and plans of attack..."
"On May 13 1969 I was a RTO with Alpha Company 1/46th Infantry. That day was the start of the battle that lasted 35 hours. As a company of 91 men we were moved into a position..."
"My sister Debbie was back home visiting in late April 1968 when I walked through the front door of our Kirkwood home.Debbie had a strained look on her face and said..."
"We stood there toe to toe....my father was calling me a coward because I tried to explain to him that I did not want to go to Vietnam because I did not want to kill anyone and..."
"In the spring of 1969, I was a senior at Southern Illinois University, Carbondale and I had been participating in the anti-war movement in a peripheral sort of way..."
"My husband, Larry Hurlbert, served in Vietnam from 1969 to 1971. 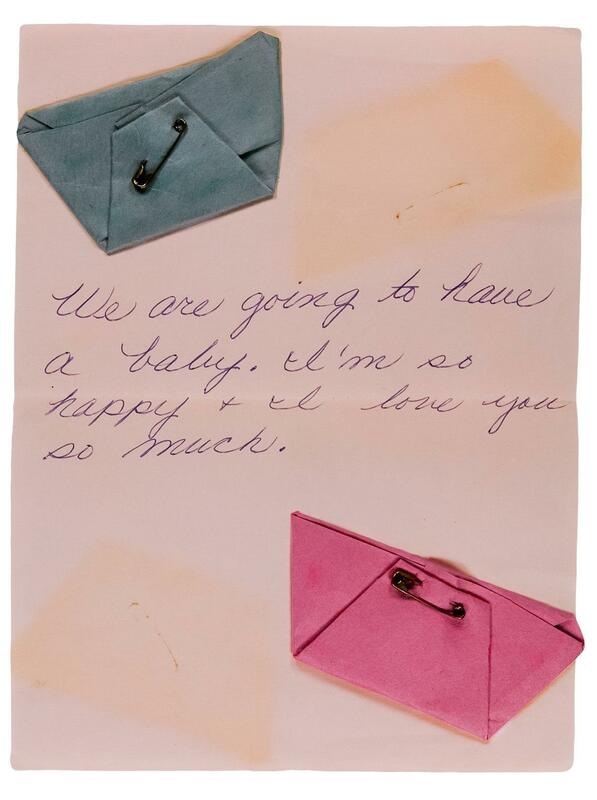 We were married in early December, 1969, and he left for Vietnam before Christmas. 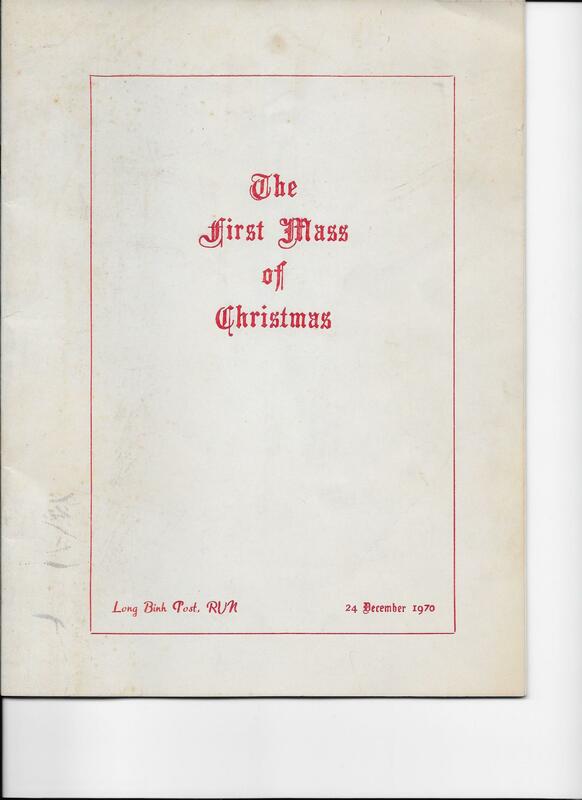 Larry was in the 25th..."
"what lessons are leftthe old man wondersas the old mind wanderswhat lessons are leftfrom fighting a warout the windowas the sun burns away..."
"Attached is a copy of the first few pages of the midnight mass book Long Binh Post 2330 hours 25 December 1970. You don't know what to pray for; victory, salvation..."
"In the late 1990's, the Moving Wall, a replica of the Vietnam Veterans Memorial, came to the campus of St. Charles Community College where I was an adjunct English professor..."
"It has become one of the myths of the Vietnam War that, in contrast to the experience of veterans in earlier wars, returning Vietnam veterans did not get parades celebrating..."
"Honoring the many service men and women who gave their lives for our country, I must honor one particular member of my family – PFC, Sammie Lee Watson, Jr. (aka Sonny)..."
"It was shortly after chow that evening, I don’t remember the exact date…it’s happened way too long ago. I sat on the top of a bunker smoking a cigarette and looking out over..."
"1. A sandbag wall may have protected from an incoming near-miss explosion...but not from a direct hit.2. Guerrilla-warfare type bombings were a form of communication..."
"I was one of two COs granted by Draft Board 100 in Webster Groves. This happened in 1970 and 1971. Application materials included numerous letters of support from my church..."
"This is going to be very difficult to write and perhaps a bit long winded. Some may find it difficult to read. Bottled up for over five decades, I can still only relate brief..."
"Roger Corbin and several other soldiers were shot at during the Vietnam conflict Tet Offensive. By the grace of God and an innovative warrant officer, he’s alive today to tell..."